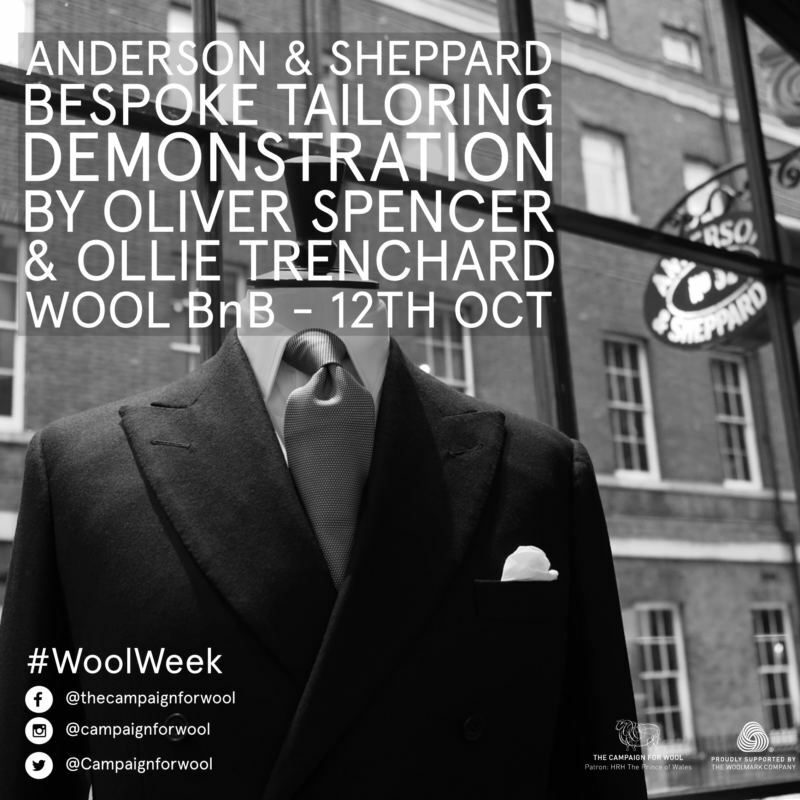 This year, UK Wool Week takes place from the 10th – 16th October and in celebration of this, Anderson & Sheppard Coat Cutter Ollie Trenchard and Trouser Cutter Oliver Spencer will be holding a bespoke tailoring demonstration on Monday 12th October from 5pm-6pm in The Wool BnB in Islington. The BnB is a totally woolly location where everything from interiors to fashion is made of wool. See up close and experience first hand the true art of ‘cutting’. Through an intimate presentation, we will demonstrate the craft, expertise and skill that goes into the cut of a bespoke wool suit. The Campaign for Wool is jointly funded by some of the largest wool grower organisations in the world. Key nation partners include the British Wool Marketing Board, Australian Wool Innovation/The Woolmark Company, Cape Wools South Africa and Campaign for Wool New Zealand. All have shown incredible support and contributed to the global success of His Royal Highness’s Campaign for Wool since its inception. There are 12 places available for the demonstration, to register for a ticket please click here.